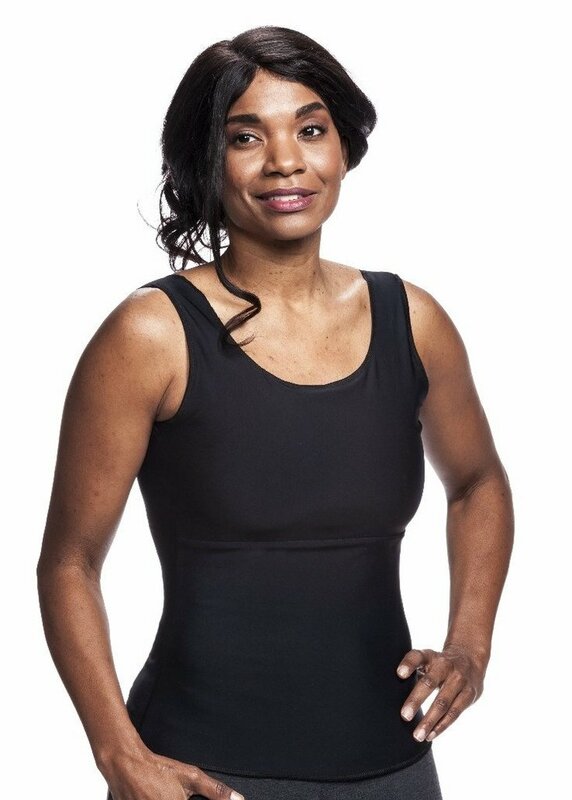 Compression camisole for underarm, back, chest and abdomen compression. Similar to our Wear Ease Slimmer 910, but wider, shorter shoulder straps, shorter length, and higher fit in the underarm. Features snug fit for consistent and full torso compression.